Overseas eyes are increasingly turning towards Australian and New Zealand crime writing in recent years, with antipodean authors becoming more readily available to northern hemisphere booklovers. 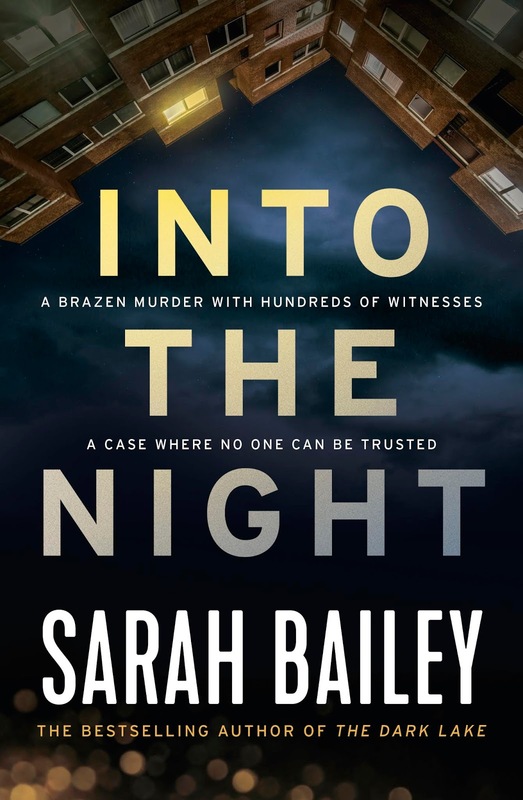 Melbourne's Sarah Bailey showed plenty of promise last year with her debut The Dark Lake, which introduced troubled small-town cop Gemma Woodstock, and saw Bailey join award-hoarding city-mates Jane Harper and Emma Viskic as rookie Aussie crime writers garnering global attention. Bailey tackles the ‘difficult second novel’ by plunging Woodstock into new challenges in a new environment: she’s said ‘see ya later’ to her rural hometown, her son and ex-husband, and is now looking to advance her career as a detective living a lonely life in the big city of Melbourne. Now Woodstock chases killers and battles emotional emptiness with plenty of bottles and a variety of beds. Keen to prove herself to her new colleagues, she gets a chance to shine when a homeless man is murdered, but is then quickly reallocated when a new case with a much higher priority shocks the nation: a young and beloved actor who seemed on the cusp of a Hollywood breakthrough is stabbed to death in front of hundreds of people on a big zombie film set in the city. The brazen nature of the attack, plus the chaotic aftermath, creates a big mess and plenty of problems for the police. It's a traumatic crime for those that knew the movie star as well as those they just felt they did, vicariously through the screen. The high-profile nature of the attack ramps up the pressure on Woodstock and her colleagues, while the homeless man's case is rather sidelined. There's plenty to like about Bailey's sophomore effort; she delivers another solid page-turner that deepens the character of Woodstock, whose behavior and choices may divide readers but is messily, authentically human. The crime storyline gets entangled with #MeToo - both in the film world and Woodstock's own industry - and other issues that give INTO THE NIGHT a very current feel. 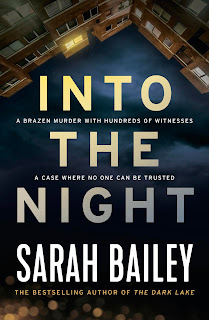 There are plenty of thought-provoking touches, though at times Bailey’s writing is a little overblown, having the effect of neutering the power that important themes and moments might otherwise have had. In THE DARK LAKE, Bailey brought the small-town setting to pretty vivid life, capturing some nice nuance to the place and people. With this follow-up, there are Melbourne references aplenty, but for me the setting didn't feel quite as vivid - more green-screen than 'on location', so to speak. But those are relatively minor things in what is overall a good solid crime read, centred on an increasingly fascinating (if at times a little unlikable) heroine who has 'ongoing series' written all over her. You get the feeling there's a lot for Bailey to explore with Woodstock, and it'll be interesting to see where the Australian author decides to take her centrepiece in future instalments.